Preliminary info, Braddon companion (ed. Foxwell). 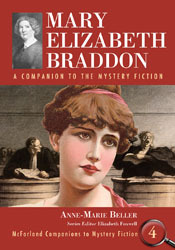 McFarland has posted some preliminary details on Mary Elizabeth Braddon: A Companion to the Mystery Fiction by Anne-Marie Beller, vol. 4 in the McFarland Companions to Mystery Fiction series that I edit (vol. 1 on John Buchan; vol. 2 on E. X., aka Elizabeth, Ferrars; vol. 3 on Ed McBain/Evan Hunter). It is tentatively scheduled for publication in summer 2012. In this work Beller details the life and career of an important figure in the development of the mystery in the nineteenth century; as Lucy Sussex noted in Women Writers and Detectives in Nineteenth-Century Crime Fiction: The Mothers of the Mystery Genre, Braddon created the first clerical sleuth and other characters who detect (such as Robert Audley in Lady Audley's Secret [1861–62] and Eleanor Vane in Eleanor's Victory ). Her first novel, Three Times Dead (aka Trail of the Serpent), was serialized not long after the first installments of Collins's Woman in White. Braddon's long and lucrative career in sensation fiction stretched from the 1860s to 1916, a year after her death in 1915. Update, 10/24/12. The companion is now available. Happy birthday, Louisa May Alcott. Louisa May Alcott was born today in 1832 in Germantown, PA. Although she achieved literary and lucrative success with Little Women (1868–69) and its sequels as well as provided a role model for millions of women with the restless and ambitious Jo, she took a great deal of pleasure in penning her pseudonymous "blood-and-thunder" tales (see, for example, Behind a Mask: The Unknown Thrillers of Louisa May Alcott; I wrote a few entries on these in the Louisa May Alcott Encyclopedia and discuss her thrillers in "Lady and the Dark" in Deadly Women). She also provided a penetrating look at caring for the wounded during the Civil War in her autobiographical Hospital Sketches (1863). You can support the educational programs at Orchard House—her home in Concord, MA—here. Happy birthday, W. R. Burnett. W[illiam]. R[iley]. Burnett, author of the hard-edged classics Little Caesar (1929), High Sierra (1940), Nobody Lives Forever (1943), The Asphalt Jungle (1949), and several other novels, was born today in Springfield, Ohio, in 1899. His scripts include the films The Getaway, This Gun for Hire, The Racket, and The Great Escape as well as episodes of the TV series Naked City and The Untouchables. MWA named him a Grand Master in 1980; he died in 1982. Stark House Press has reissued Burnett's It's Always Four O'Clock (1956) and Iron Man (1930). 50 years of The Phantom Tollbooth. 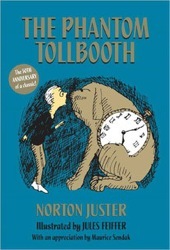 The Philadelphia Library celebrates the 50th anniversary of Norton Juster's The Phantom Tollbooth (illus. Jules Feiffer, 1961) with the author. covers. Now, finally, the finding aid is online. Books in the collection include Trial and Error (1945 ed. ; film 1941) by Anthony Berkeley [Cox], Death in the Blackout (1946) by Anthony Gilbert, Of Tender Sin (1952) by David Goodis, The Rope Began to Hang the Butcher (1944) by C. W. Grafton (father of Sue), Bimini Run (1952) by E. Howard Hunt (yes, the Watergate figure), Dread Journey (1947) by Dorothy B. Hughes, Wall of Eyes (1943) by Margaret Millar, and She Faded into Air (1941) by Ethel Lina White (best known for The Lady Vanishes). Some covers from the collection are posted here. "The demons were kept in the trap." 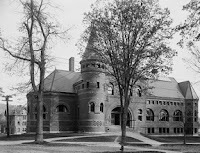 Larry T. Nix on the Library History Buff Blog provides a rousing account of the attempt to take Dartmouth's student literary society library by force in 1817. Nicholas Rankin discusses his new book Ian Fleming's Commandos, which focuses on Fleming's WWII unit that later provided many elements of the James Bond novels, on the Faber & Faber blog The Thought Fox (video included). Star Trek: No "space suits ... for hostile planet surfaces." NASA officials and shuttle prototype Enterprise. Harvard's Houghton Library has acquired "The Star Trek Guide," a publication that was distributed to Star Trek writers, and it's a hoot. "Captain would not hug pretty Yeoman on the Bridge of his vessel." Oh really? However, the curious phenomenon of fatalities of landing party members who wear red shirts is left unaddressed ("Ensign So-and-So, go look behind that rock"). 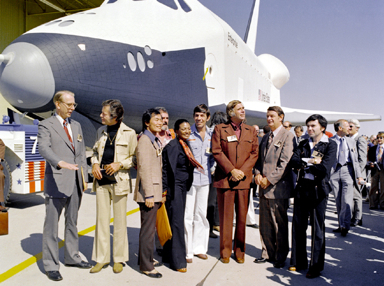 There are explanations for the term stardate and why so many Class-M planets were visited, as well as an answer to the question "Are you people on LSD?" Happy birthday, Van Wyck Mason; writer, WWI and WWII veteran. "Not a dull page in any of his works." Francis Van Wyck Mason—pulp writer, historical novelist, creator of investigator Hugh North, captain in World War I wounded at Verdun, and colonel with Allied Supreme HQ during World War II—was born today in Boston in 1901. North, who is usually involved in cases with government implications, debuted in Seeds of Murder (1930) and appears in 26 other novels and several short stories. A Mason story was adapted as The Spy Ring (dir. 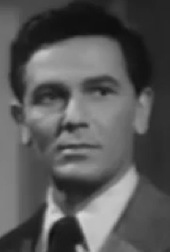 Joseph H. Lewis, 1938) with Jane Wyman. Mason died in 1978. Ian Fleming considers a title. Letters of Note features a letter from Ian Fleming proposing titles for his next book after Live and Let Die. Patricia Highsmith on the Alfred Hitchcock Hour, Encore. Ernest Bramah this week on BBC Radio 4 Extra. This week on BBC Radio 4 Extra, Ernest Bramah's blind detective and coin collector Max Carrados looks into forgery and murder in The Tales of Max Carrados (1914). Go here for the schedule or to listen; episodes usually may be heard for up to week after broadcast. Judith Lee (1912–16), by Richard Marsh. I did not propose to sit still [...and] allow those three uncanny beings, undisturbed, to work their evil wills. Judith Lee is a "teacher of the deaf and dumb"—in other words, she can read lips. This skill tends to embroil her in trouble. 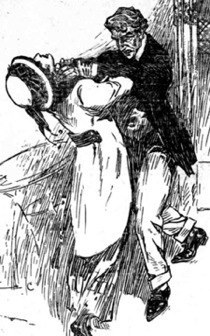 In "The Man Who Cut Off My Hair," Lee encounters jewel thieves; the reader might be annoyed that Lee is enraged by her unwanted haircut rather than the robbery of an elderly man. In "Conscience," Lee connects cryptic utterances with two murders and takes action to avoid further deaths. In "Matched," Lee looks into the case of a bride who has vanished. In "Auld Lang Syne" she thwarts a bombing. In "The Miracle," Lee prevents a prospective marriage based on fraud. In "Isolda," Lee steps in to flout a fraudulent fortuneteller. 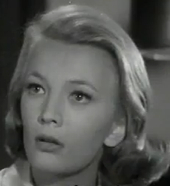 In "Uncle Jack" she bests an American con man. In "The Restaurant Napolitain," Lee confronts agents of the Mafia. In "Mandragora," she works to free an innocent man from prison. Lee does not always act wisely (as in "The Restaurant Napolitain" when she faces the bad guy—alone—and tells him she knows he has murdered someone). In some respects, she may resemble Anna Katharine Green's Violet Strange (The Golden Slipper and Other Problems for Violet Strange, 1915). Richard Marsh (aka Richard Bernard Heldmann, 1857–1915) is best known for The Beetle, which outsold Bram Stoker's Dracula in 1897. His grandson was the horror writer Robert Aickman (1914–81). Few copies of Judith Lee: Some Pages from Her Life (1912) and The Adventures of Judith Lee (1916) exist in U.S. libraries, and the sole copy of The Adventures of Judith Lee on abebooks is priced at more than $1200. I am hoping that Valancourt Books, which has been reprinting Marsh's works, will eventually get to Judith Lee. Via the Library of Congress' Chronicling America project I downloaded 10 of the Washington Herald versions of the Judith Lee stories that are collected in Judith Lee: Some Pages from Her Life (unfortunately, "Was It Luck or Chance?" was not entirely legible). As an aid to those who may wish to read these stories, I have uploaded the readable copies to my Web site; the links on the story titles in this blog post will take readers to them. Canada Literary Tour: No mystery. I must confess to irritation that "Canada: A Literary Tour" on the Library and Archives Canada Web site has absolutely no mention of Canadian mystery contributions to its literary landscape. 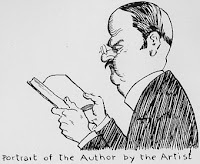 Not even Grant Allen (b. in Kingston, Ontario, in 1848)—grandson of the fifth Baron Longueuil (the only Canadian barony), friend of Arthur Conan Doyle, and creator of some of the earliest female fictional detectives (Lois Cayley, Hilda Wade). Surely multiaward-winning Louise Penny contributes substantially to a rendering of Quebec? Brock University has a great Crime Fiction Canada resource. Perhaps the Crime Writers of Canada will compile their own mystery map of Canada. Chicago's Museum of Contemporary Photography is staging the exhibition "Crime Unseen" until January 15, 2012, that features the camera's role in documenting crimes. There is some mention of the roles of detective fiction and movies.